We are delighted to announce that we have been invited to attend the 8th Augmented World Expo USA 2017 as official speakers. Having made considerable progress in our R & D over the last 12 months, we were selected to present our latest prototype C on the main stage of the Expo, at the end of May, in Santa Clara, California. Augmented World Expo (AWE) is the world’s largest conference and vendor exhibition for professionals focused on making the world more interactive—featuring technologies such as Augmented Reality, Virtual Reality, wearable computing, smart glasses, gesture and sensor devices, and the Internet of Things. 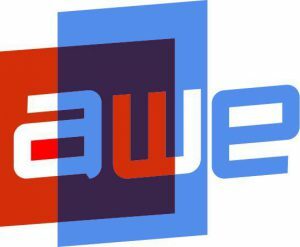 Now in its 8th year, AWE 2017 is poised to set a new record with over 5,000 attendees and 200 speakers & exhibitors, including CEOs, CTOs, designers, developers, creative agencies, futurists, analysts, investors, and high-level press.